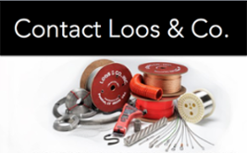 Mooring & Oceanographic Cable - Loos & Co., Inc.
Our spin and corrosion resistant design is perfect for maintaining buoyed monitoring equipment and data collection devises in environments ranging from warm and tropical (Gulf of Mexico and the Indian Ocean) to cold and unforgiving (North Pacific and the Great Lakes). 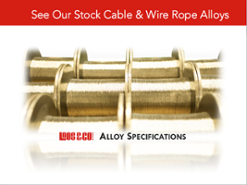 All ropes are 3x19 construction using galvanized wire. The stock jacket material is polypropylene and stock jacket color is black. Custom colors and materials are available upon request. Don't see what you need? 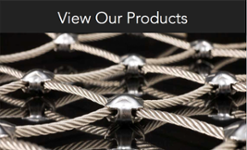 You can search our full range of aircraft cable, wire rope, and coated cable products or contact us for additional information.